Bumblefoot is one of those backyard chicken diseases that’s pretty simple to understand and treat, although it definitely requires some first aid. Should you do surgery to get rid of bumblefoot? We’ve dealt with it a few times on our farm and it’s always been easily treatable. Funnily enough, I’ve noticed it always seem to start on the left foot first. I don’t know if that’s been every chicken owner’s experience though. 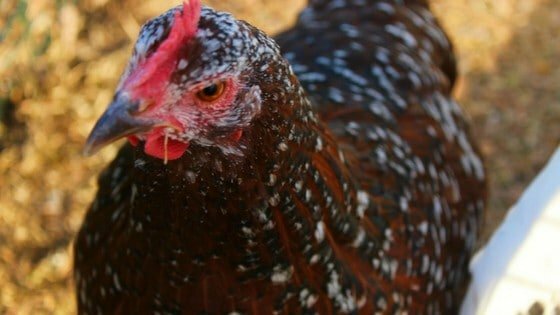 Now, don’t get me wrong – any infection can turn into a life or death situation if not treated, and since chickens usually don’t let on about how sick they are until it’s too late, it’s safe to say that if you suspect your backyard chickens have bumblefoot, then you need to take care of it. But as for bumblefoot being immediately life threatening…..well, we have not experienced that on our farm. Like any disease out there, bumblefoot can effect your chickens at any time and any age, but particularly if they have a depressed immune system, if they’re very young or very old, or have any sort of condition that could potentially make the immune system not as strong as it would be, then they run a higher risk of bumblefoot becoming a bigger issue. For healthy chickens however, it might not be the huge issue you read about on the interwebs. In this article, we’ll cut through the drama, talk about what bumblefoot is, why it needs to be treated, treatment options (natural and pharmaceutical), and how you should approach this common backyard chicken issue. For our definition of bumblefoot, we’ll refer to the Merck Veterinary Manual, which you can find for free on the Internet. And I don’t see a lot of chicken bloggers actually looking at this book to understand what’s going on with their backyard chickens, but it’s a wealth of information about diseases and treatment paths. “Bumblefoot” is the lay term for pododermatitis, and to sum up the Merck Veterinary Manual, it’s a Staphylococcus infection and localized abscess that occurs when backyard chickens get a skin injury such as a lesion. You may or may not see the lesion (it could be too small for the naked eye). There’s a reason why shoes and socks are considered good hygiene for human beings and even for dogs and cats! Chickens with bumblefoot might have swellings on the pad of the foot, or the entire foot can look swollen and enlarged. It might look as simple as a slight redness to a bulbous-looking growth on the bottom of the chicken’s foot. You might notice your chickens limping or hopping around on one foot because it’s difficult and painful to walk on a swollen foot filled with pus. The swellings, called “bumbles” give the infection it’s colloquial name. You’ll want to take care not to confuse bumblefoot with other issues such as frostbite and scaly leg mites, both of which can also cause your backyard chicken’s feet to swell. 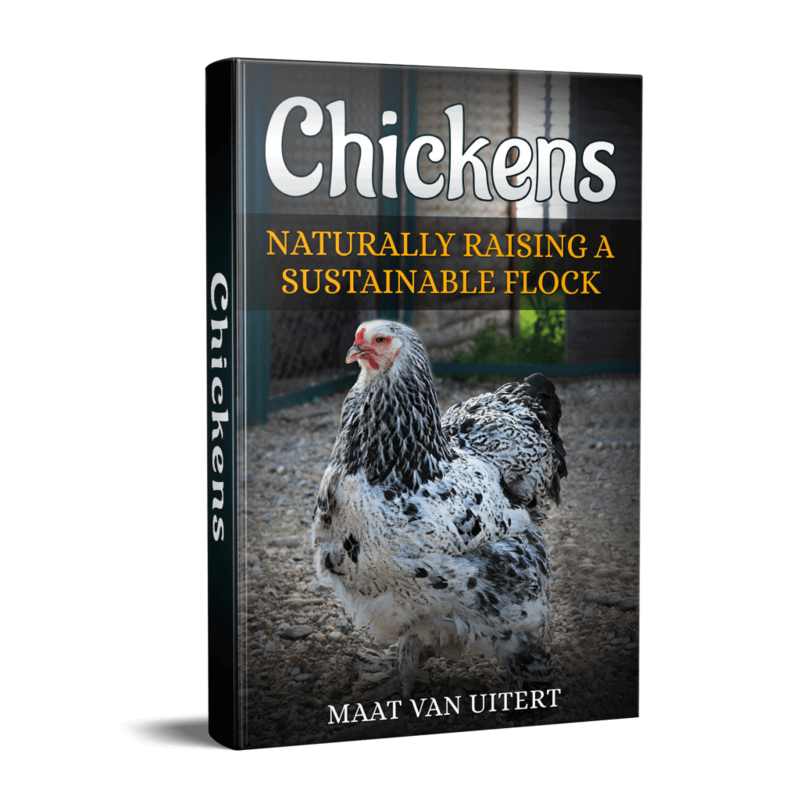 While side-by-side it’s obvious which malady is effecting your chickens, it might not be so obvious for a new chicken owner. In rare cases, it also might be indicative of a vitamin A deficiency, especially if your chickens aren’t getting a balanced diet (you can give them a multivitamin if you’re worried). It can be hard to prevent bumblefoot because your chickens are walking outside without shoes and socks. By default, they’re more susceptible to infections and cuts on their feet. However, making sure your chickens have a good diet and their bedding is adequate is a place to start. Eliminating sharp rocks or anything else that can cut them is another strategy. If you think your chickens might have bumblefoot, you should consult a vet, who can give you dosage advice (even if they don’t know, they have a network of vets they can call for advice) and let you know if your chickens need some sort of treatment more extreme than medicine. Many times, we’ve taken animals with some mysterious illness to the clinic, and the vet has been able to call this or that vet he knew from school or met at a convention and gotten an answer plus treatment advice in minutes. There are some natural options for bumblefoot, if you want to avoid pharmaceuticals, such as essential oils, honey, or green clay. I like using Young Living’s Animal Scents ointment, which promotes healthy skin. If you use oils, you should always dilute it with a carrier oil such as almond or coconut oil. For more detail about using essential oils on your chickens, it’s best to email me. You don’t hear much about green clay in the backyard chicken community, but it’s a popular remedy for treating bumblefoot with parrot and parakeet owners. (It’s not just chickens that get bumblefoot). If your chicken has bumblefoot you’ll want to keep it wrapped and keep your hen or rooster in a place where you can observe it. If the wound is small, and your chicken isn’t very uncomfortable, you can let your chickens continue to wander around. If it’s bad enough, the lump on your chickens foot might need to be opened up to drain. After, you should soak it in epsom salts, and dress the wound. You might see advice online that if your chickens have bumblefoot, you should perform surgery to excise the infection. You should bear in mind that this advice calls for you to perform surgery without anesthetic in your own home. While certainly there are times that the wound will need to be drained and dead tissue cut out, I think it’s irresponsible to tell owners of backyard chickens that this type of surgery is necessary and to perform it themselves. If you read the Merck Veterinary Manual, their first course of treatment is not surgery. Therefore, it shouldn’t be your first choice as well, except in cases where a vet has advised you the infection needs to be drained. Particularly if you’ve never done this type of surgery before, it’s advised to get the help of your local vet. Even if you don’t have an avian vet in your area, a regular vet can still help since they will have experience with minor surgeries and can help your chickens be more comfortable. They’ll also give advice for follow up treatment afterwards. Bumblefoot doesn’t have to be life threatening, or even greatly inconvenience your backyard chickens. Just remember that it’s an infection, and to treat it like one. Above all, if you’re not sure what to do, seek the advice of your local vet. HI! I love your posts. They are always very informative!! Do you have photo’s of Bumblefoot vs. Scaly Leg mites? I have a hen who’s ankles are swollen so I don’t believe the issue is Bumblefoot and she has no sign of mites either. She acts perfectly normal, eats well, lays eggs for us, her eyes are clear and bright, she roosts up high every night, but I can not figure out what on earth is going on with her feet. Can you email a photo? It’s hard to see mites in cases of scaly leg mites. You can tell if the scales start to lift and peel off. Is it cold in your area? Frost bite (the beginning of frost bite) is another option but it’s hard to know without seeing the hen. Thank you for this great article. I’ve seen and read too many people telling others that’s the Bumblefoot has to be cut out. My rooster has a small spot but it wasn’t bothering him so I’ve left it alone and just kept tabs. That was my intuition and common sense! I’ve seen drawing salve and wondered if it works as proclaimed. Seems like it might. What do you think? You can try it and see how it does for your guy. There’s an article on this website about how to make it, if you don’t have any on hand. Oregano essential oil is another option to promote healthy skin on the foot. Whichever you use, I would definitely wrap the foot. I believe in using bag balm utter salve for all infections it works great put on area bandage and change it two to three times it draws out the infection.? Thank you so much for your time you spend teaching us so much about our precious fluffy butts.